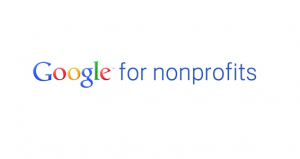 Google for nonprofits has provided us with Google Apps, including Google Drive, Gmail, Google Adwords, among many other tools, that allow us to run our day-to-day operations. Atlassian is an Australian enterprise software company that develops products geared towards software developers and project managers. It is best known for its issue tracking application, JIRA, and its team collaboration product, Confluence. Alidyne Consulting: The Founder of Alidyne Consulting, Brandon Schmitt, is also one of our Founders! So it goes without saying that Alidyne has been a key supporter of TrepHub since it’s inception and thru it’s current growth. Beyond sponsoring events and sharing with us much needed furniture and digital equipment, Alidyne employees are core members of the TrepHub Community at large. Many of the events are often made possible because of the volunteer efforts from Alidyne team members. Since Alidyne’s birth when it was only 1 person, to it’s transformation in a very short timespan to over 11 people, Alidyne has become an Anchor tenant in our co-working space. Globe Tracker was an early participant in the TrepHub space and one of the companies we feel proud to be associated with. After moving into their own building, Globe Tracker has graciously agreed to sponsor two desks for 1 year as well as sponsoring 1 event every month, which is currently the CHF Speaker Series. Total Care IT oversees TrepHub vital network and technical operations. TotalCareIT provides services to businesses of all sizes. From full managed solutions with 24/7 support to specializing in backup and recovery, they can do what you need. FracTEL makes getting connected easy and fast with these industry leading phones that come pre-configured for plug-and-play setup, and they generously sponsored us with two fully-functioning phones! FracTEL wants business owners to concentrate on their business – not their phone system, and we’re happy to have them as a sponsor taking us to communications to the cloud and beyond. nVIDIA has been gracious enough to reach out to us and sponsor some of the events relating to CUDA and parallel processing. Thanks to nVIDIA we’re able to create even more exciting events for our community members.